Society of Illustrators: Sketch Night. 2012. Pencil and ink on paper, 10.5 × 8.5″. 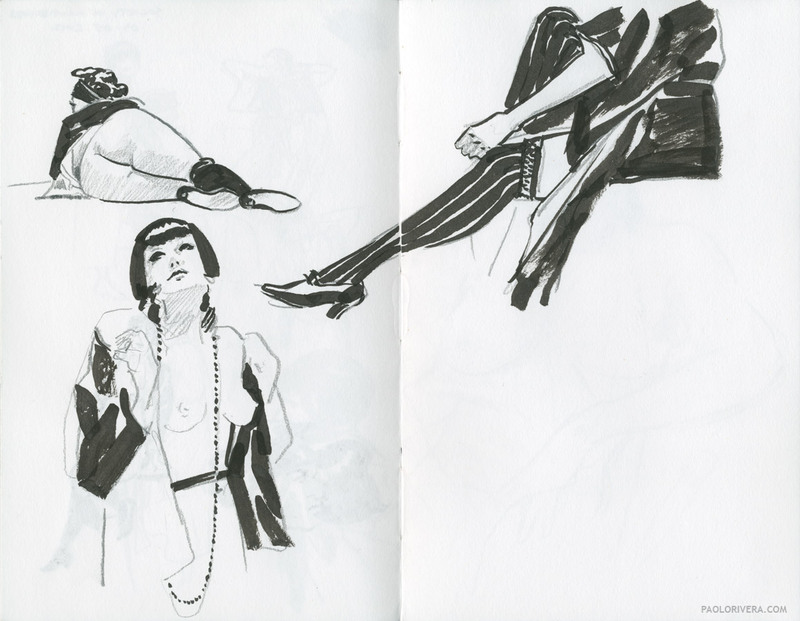 Here's another page from my sketchbook featuring Sketch Night at the Society of Illustrators. I finally got to the last page in the book — it only took me 8 years. I went again on Tuesday night and used my pocket-sized Moleskine sketchbook. Art teachers have always told me to draw big — I've never listened. Even if you don't draw, the top floor is worth a visit for the Al Hirschfield exhibit, which closes tomorrow. 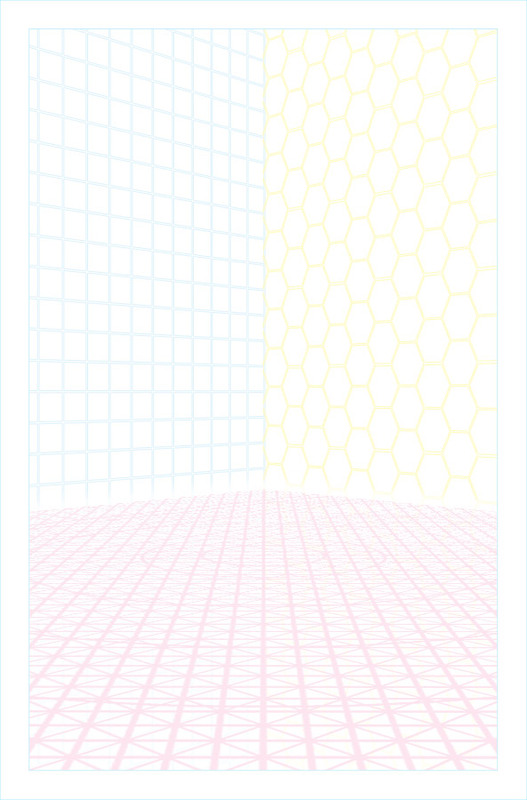 I'll leave you this week with a sneak peek of my perspective template, which I'm going to release through Kickstarter (if I can ever get my act together). I've been "beefing" it up with extra patterns, including hexagon tiles, diamonds, circles, checkerboards, windows, and bricks. If there's something you'd like to see offered, now's the time to let me know. I'm even contemplating a curvilinear set if there's enough interest. I gotta start some kind of sharing of my sketchbook pages for my own blog. The honeycomb pattern on the perspective pattern reminds me of the grating in the Engine Room on the Enterprise in the original Star Trek. Yeah, I'm trying to do it more myself. We'll see how that goes. As for the Enterprise, now you'll be able to draw it to your heart's content. I must say I prefer the girl to the grid, but it is interesting too. Looking forward to see the perspective post!